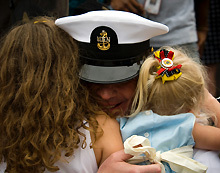 The Fleet and Family Support Center, NB Coronado provides programs, services and information for active duty Sailors, family members and retirees. Services range from marriage counseling to education opportunities to childcare and much more. You're not alone. The FSC is here to help.